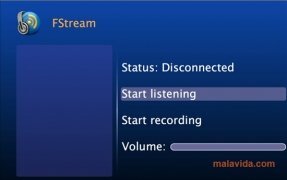 FStream is a program with which it is possible to listen to the radio over Internet. This development is capable of tuning into broadcasts from all over the world, without mattering what they are specialized in, no matter if its classic rock or the futuristic dubstep. 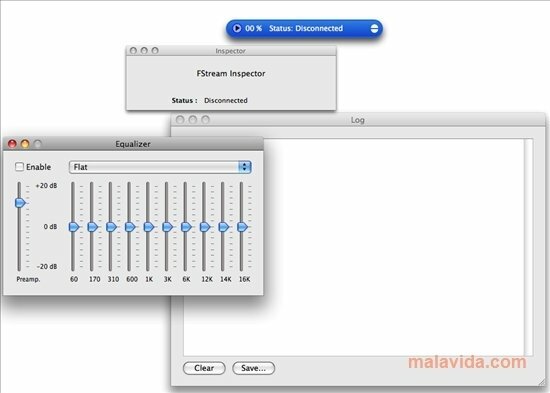 One of the most appealing features of this applications is its interface, because as soon as you manage to tune into the broadcasts, it becomes very small, so small that it won't get in the way if you are working on something else while listening to the radio. It practically doesn't use any system resources, something that is very important. What's more, the program offers the possibility to add new radio stations by inputting the proper URL, so it will be possible to customize the program to listen to the radio broadcasts that you like most. Another of the features worth highlighting is the compatibility with Apple Remote, the remote control included with various Mac models. Get ready to discover the radio stations from all over the world thanks to FStream.